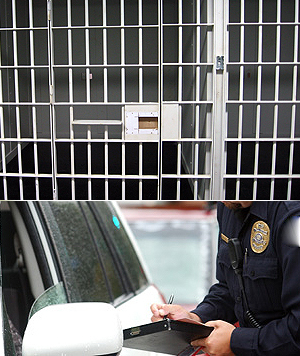 Felony vs Misdemeanor - Pertaining to arrests in Orange County. Orange County felonies and misdemeanors are serious and may effect your future. Felonies have greater consequences than misdemeanor offenses, but either may result in a criminal conviction if a guilty plea is entered. The standard felony carries a prison sentence that may range from 16 months, 2 or 3 years. However, there are many felonies that carry longer sentences, because of the nature of the charge or a sentencing enhancement, which may add years to the possible punishment. Felonies also have additional court procedures that misdemeanors do not. They have a mini trial called a Preliminary Hearing where the prosecution must show the court that they have enough evidence to charge the person with the specified felon(ies). Once that evidence is presented the defendant will have a second Arraignment on the Information (the first court date is the initial Arraignment on the Complaint, which starts the court process). In the course of these proceedings, the record of the accused, the circumstances of the current offense, the elements of the law, including defenses and mitigating factors, are all facts that must be investigated and determined to provide the best possible defense. Misdemeanors carry a maximum of six months to a year in the county jail depending on the nature of the charge. Misdemeanor cases start with an Arraignment on the Complaint (the document that outlines the charges), then proceed to Pretrial Conferences, and then ultimately a Jury Trial if the case does not resolve. As applies to felonies, misdemeanors must also be investigated and evidence presented to defend the accused against the charge or to mitigate the possible consequences based on individual circumstances. In order to prevent a criminal conviction or reduce the sentencing consequences hire an experienced Orange County criminal defense attorney to fight your case. A value is required.Please Enter Valid Email.